Controversial plans to modernise the St Petersburg home of one of Russia’s greatest authors has been halted by officials. Yet second meeting between conservationists, architects and politicians then ground to a halt after the city’s deputy governor, Igor Albin, walked out before a vote could be approved, effectively suspending the ballot. The Dostoevsky Museum in St Petersburg occupies the writer’s former house on Kuznechniy Pereulok, where the novelist wrote the famous Brothers Karamazov. Staff say they need the new wing to expand their programme and store the museum’s growing collections, saying that they simply lack space at the historic site. Designed by local architecture firm Evgeny Gerasimov & Partners, the $9.8 million structure is earmarked for a plot of green land next to the existing museum building. Plans for the space, which has been under discussion since 2016, include a small theatre, cafe, lecture halls, a bookshop and a winter garden. But many in the city’s cultural scene have slammed the modern design as an eyesore in an otherwise historic area of St Petersburg. 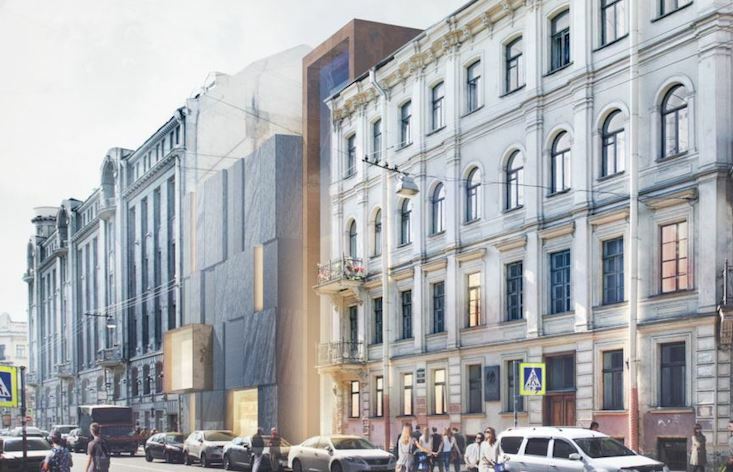 Activists have called either for a more appropriate historical facade — or for the museum to expand into any of the other addresses that Dostoevsky lived in during his time in the city. The building is due to be completed in time to mark Dostoevsky’s 200th birthday in 2021.